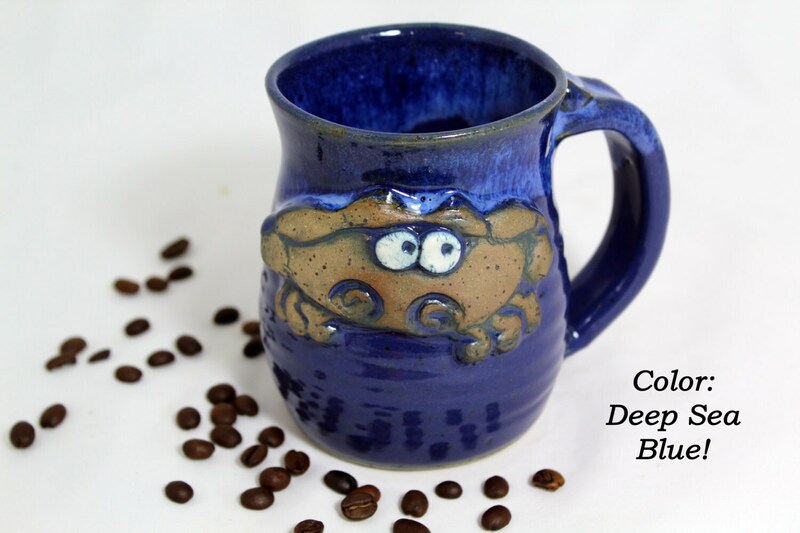 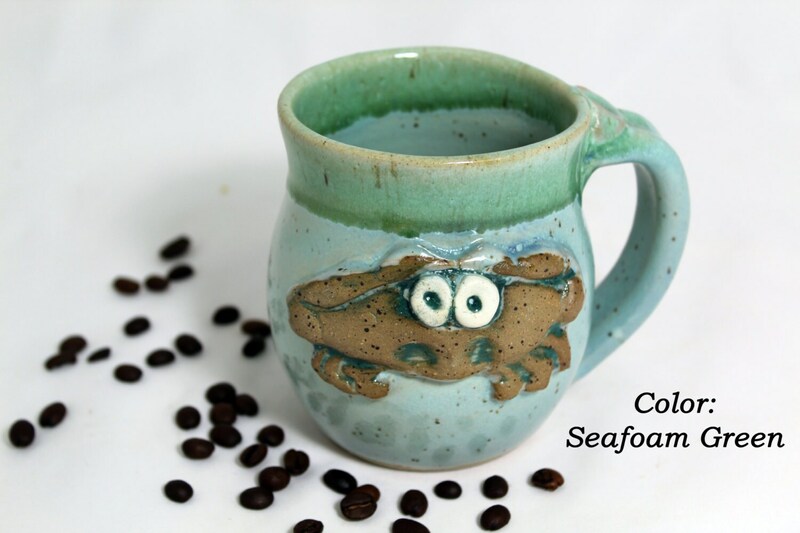 This beach-inspired mug features a cute little stoneware raised crab motif. 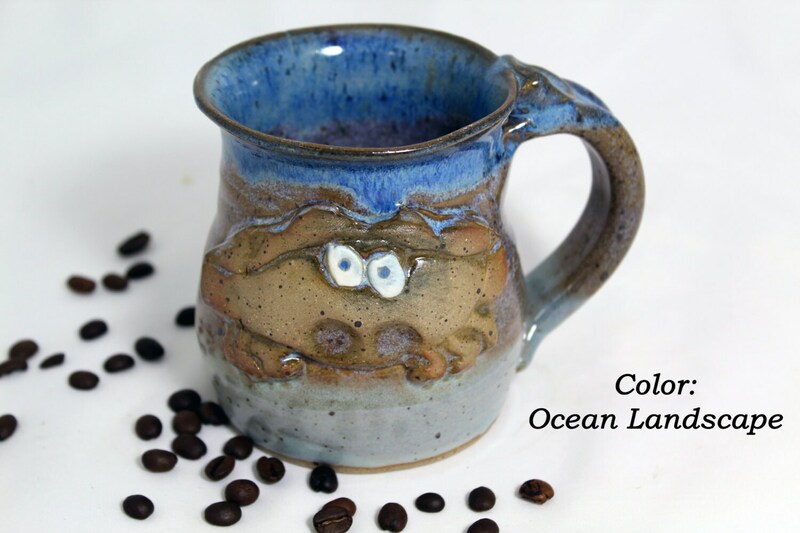 Enjoy your favorite hot beverage in these hand-thrown mugs. 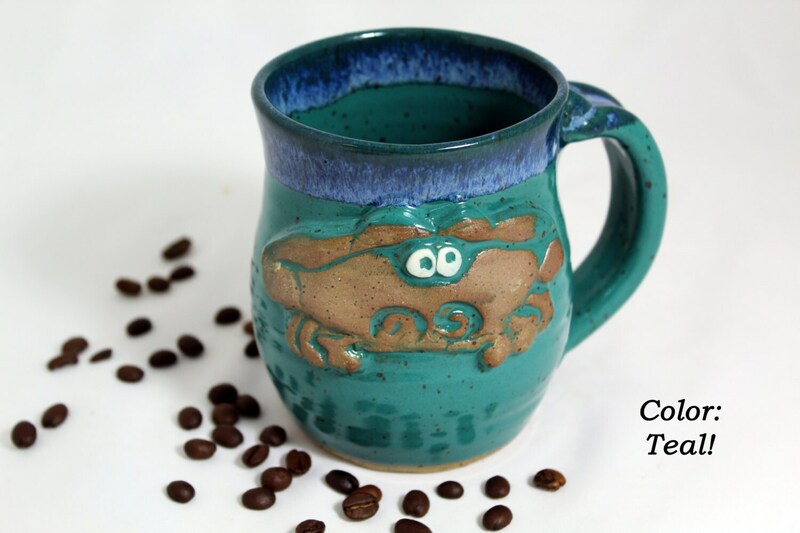 Buy them singly or create your own set. 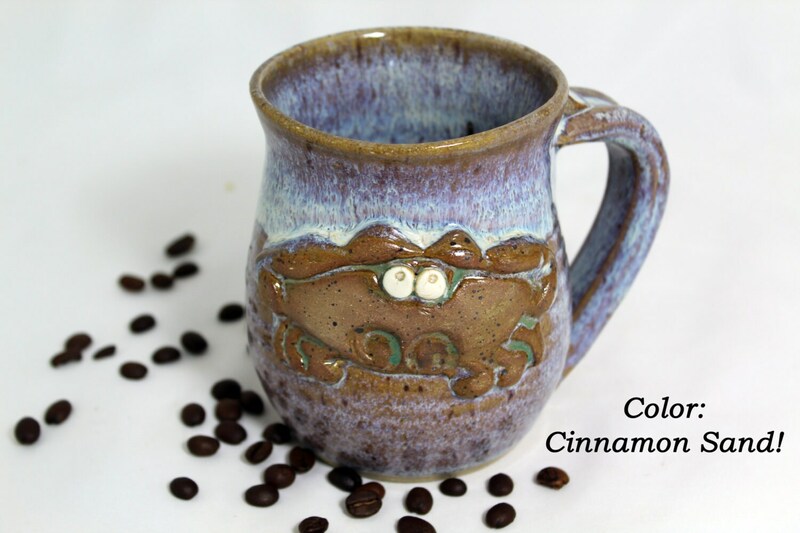 Palms Up Pottery items are always food safe as well as microwave, oven and dishwasher safe.